The Zhoushan Islands have a long history and culture. 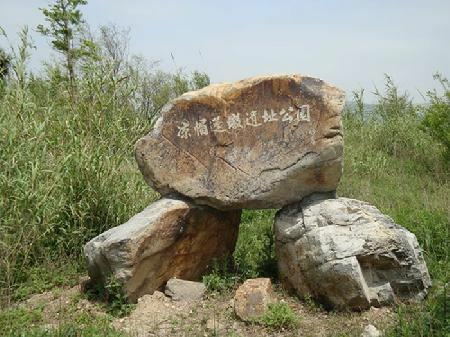 According to archaeological discoveries, human beings have lived in the Zhoushan Islands since the New Stone Age, which was more than 6,000 years ago. Early humans once built many mounds at a site in Ma’ao Town, on the seaside, which are evidence of a civilization called “Hemudu on Sea”. Ma’ao Town is known as the “First Village on the East China Sea" for these mounds. Sitting in a valley encircled by hills on three sides and facing the sea, Ma'ao is a rural town in Dinghai district, the central island of Zhoushan in the East China Sea. For a long time, there were 99 mounds scattered along two lines across the valley. The local residents can see these mounds and know the exact number. The mounds vary in size and height. Most of them are a few meters above the ground and all of them are covered by weeds. Most were destroyed in the 1950s as local residents leveled the ground to turn the wasteland into farmland. The fate of the remaining mounds changed in the late 1970s when some islanders dug clay in a place called Tangjiadun to make bricks. They unearthed some shards of red pottery, oddly-shaped stoneware, animal bones and mussel shells. In September 1979, archaeologists came to Ma’ao and probed an area of 4,000 square meters at Tangjiadun. In an area of 10 square meters, they unearthed many objects made of metal and pottery. The experts looked into 29 mounds and found that 12 sites were from the New Stone Age and eight were from the Shang (16th century to 11th century BC) and the Zhou dynasties (1046-256BC). The 500 unearthed objects include stoneware, pottery, bones and bronze pieces. The majority were stone arrowheads and stone knives used for hunting and fishing. The study was published in Archaeology, a professional journal, and caused a sensation among experts. Scholars flocked to the town from all over the country. It is now clear from the unearthed objects that the history of Ma’ao dates back 6,000 years.